There is justice in the world of Gerber multi-tools. Because while the Compact Sport may be the smaller, less formidable version of our Multi-Plier® 600 series, this Multi-Plier® 400 series compensates by being our most popular tool.This is no small victory. After all, our ultra compact workhorse brings all the same functionality and rugged performance characteristics of its big brother. Thanks to its stainless steel hardware. And its Fiskars® scissors, which have the wherewithal to cut through seatbelts. 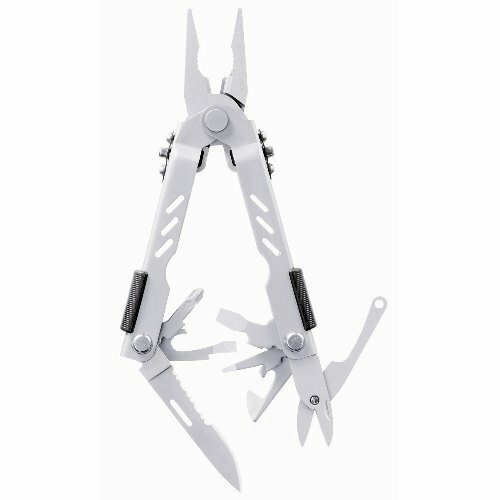 And thanks, as well, to the patented design of its one-handed opening pliers.The Compact is unmatched for strength, durability and ease of use. Our patented Saf.T.Plus™ locking system is your assurance that this little guy more than holds its own in the name of user safety. That is to say, your safety.